— Jacques Rancière, cited in Erika Balsom, Exhibiting Cinema in Contemporary Art (Amsterdam: Amsterdam University Press, 2013), p. 185. 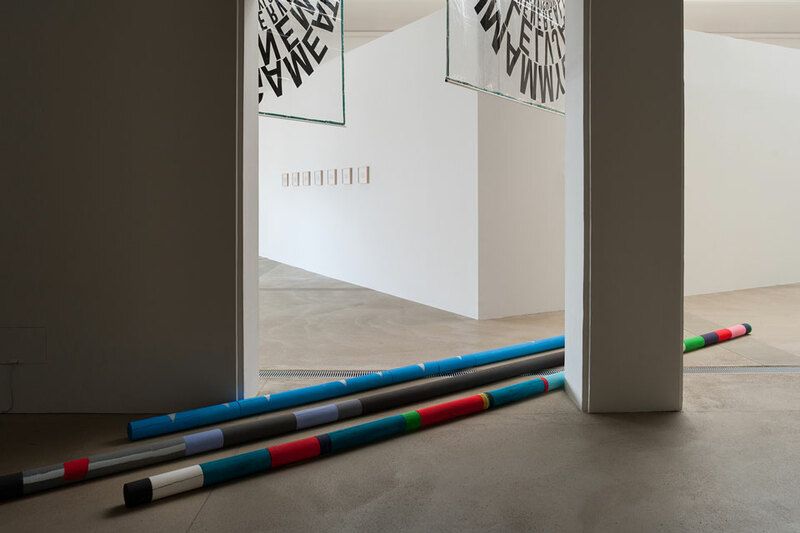 The international group exhibition Wörter als Türen – in Sprache, Kunst, Film [Words as Doors: In Language, Art, Film] is dedicated to the mutually permeating relationship of the written word with art and film. 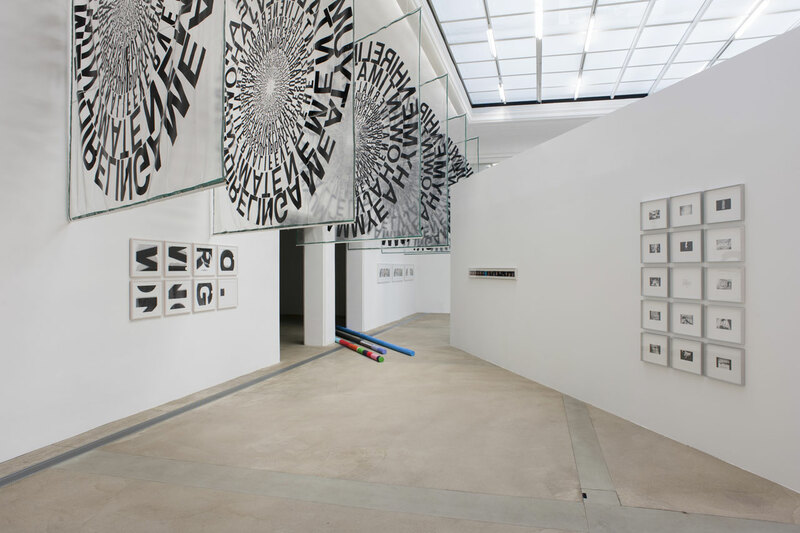 As incongruent as approximations to the spaces of art and film may seem—they rather recently started offering us access to alternative forms of perception—many film and art theorists quite consistently continue to separate their discourse. This applies to common aspects as well, both in a positive sense (newly arising interest in techniques of film projection and development) and a negative one (such as an increasing, aestheticising homogenisation due to the HD format). Considering the accelerated, inflationary conditions in the current dissemination, production, and consumption of film on gadgets designed for playback that have lately become so multitudinous, „Wörter als Türen – in Sprache, Kunst, Film“ takes a major step backwards. The exhibition starts out at a point prior to actual production, where the fundamental concept of film is developed on the level of the written word and the screenplay, with cognisance of the representative function of language. 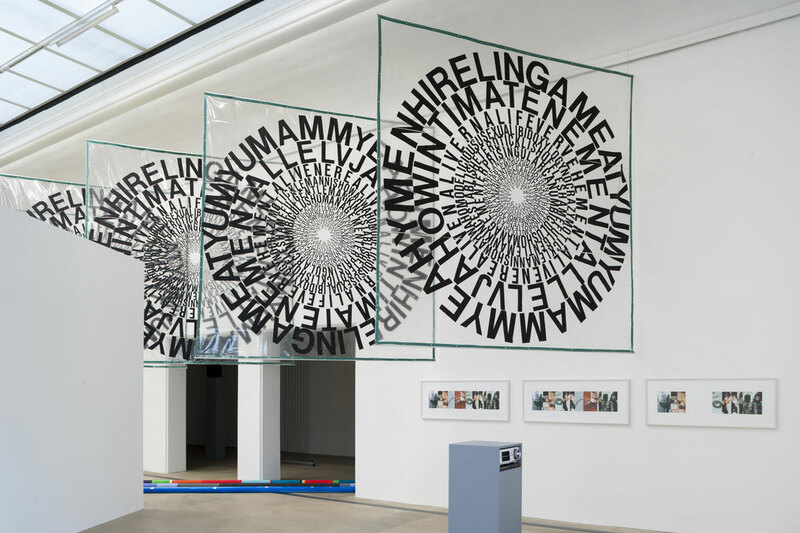 „Wörter als Türen – in Sprache, Kunst, Film“ reflects an attempt at understanding exhibition space itself to be a projection surface for illuminating the material and cultural aspects related to the artistic production of moving images, or to how they were created to begin with. Citing key artistic positions by the likes of Frances Stark, Pierre Bismuth, David Lamelas, and Mario Garcia Torres, as well as gentle, ambiguous cinematic homages by Sonja Gangl, Matthias Meyer, and Michael Baers, many of the works shown in the exhibition allude to a question that may seem neuralgic in this context: How and at what point does a film begin to be conceived through the written word? This context becomes more complex, for instance, in the case of Christian Mayer’s contribution to the exhibition, when a language created solely for a film (Quest for Fire, original title: La Guerre du feu, Jean-Jacques Annaud, 1981)—and utterly incomprehensible, at that—is taken as a point of origin for artistic investigation and work. Martin Ebner, in his piece Film ohne Film (Film without Film), is fascinated by film and how it developed from a celluloid-based form to a digital unit of information, and how the memory-eliciting viewing of film might be translated into sculptural form, which then in turn engenders new imaginary films. The way in which perceptual strands between film viewers and art viewers run in general is another key issue explored by „Wörter als Türen – in Sprache, Kunst, Film“, along with the differences between the filmic language of the images and the pictorial language of the words, between the silence reigning while an image is being viewed and that moment where the principle meaning melts away among the words, to the point of film being defined without visuals.